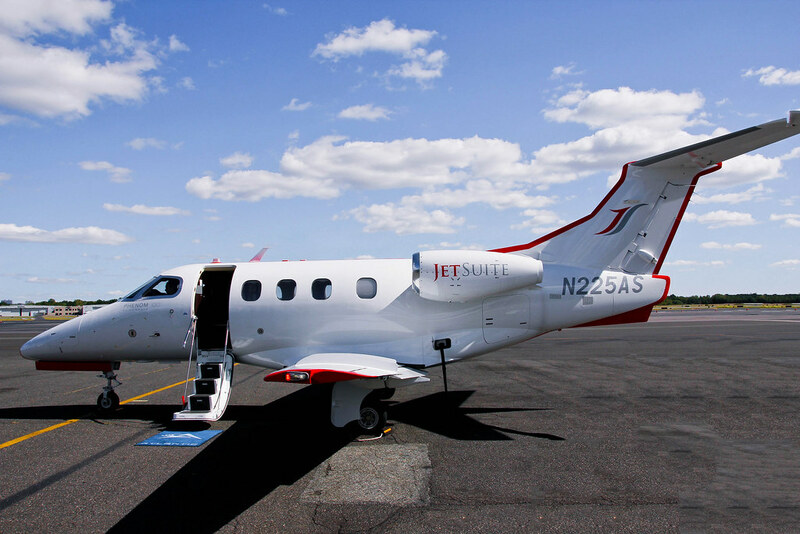 It is Saturday, September 15th at 3:45pm as I type this journal entry and I am airborne aboard JetSuite’s Embraer Phenom 100 jet. This is significant because JetSuite is not only the company that is making my quick weekend trip to Michigan a reality, but they are also the inspiration for my final Peculiar PPL dress shirt from my “Reflection Collection” series. It all started in September of 2009 when I became fascinated with the efficiency and convenience of private jets and I established a goal of owning one. 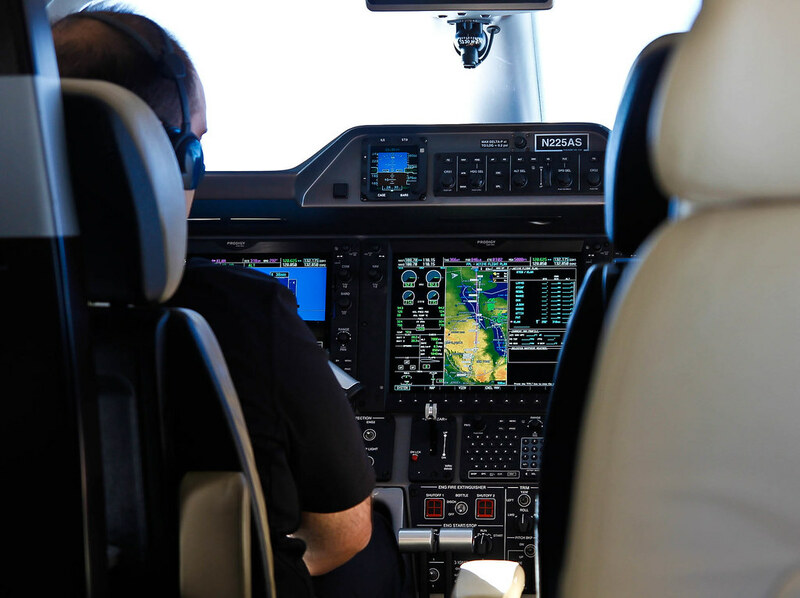 After spending weeks extensively researching everything there is to know about private aviation, I decided on a starter jet for myself—the Embraer Phenom 100. I loved this plane because it was fuel efficient, large enough for me and 3 friends (+ 1 who can sit on the lavatory for the entire flight), and it could easily fly along the East coast without refueling. My heart was set on this jet so in order to make my goal feel more attainable, I created a mockup of how I envisioned my mine to look in the future. Even though I looked at the mockup on a daily basis, it still seemed like a distant goal. I needed to see the jet in-person to make my goal feel more achievable. That’s when I sent an email to my assistant, requesting that he do some research to find as many Phenom 100 owners as possible. 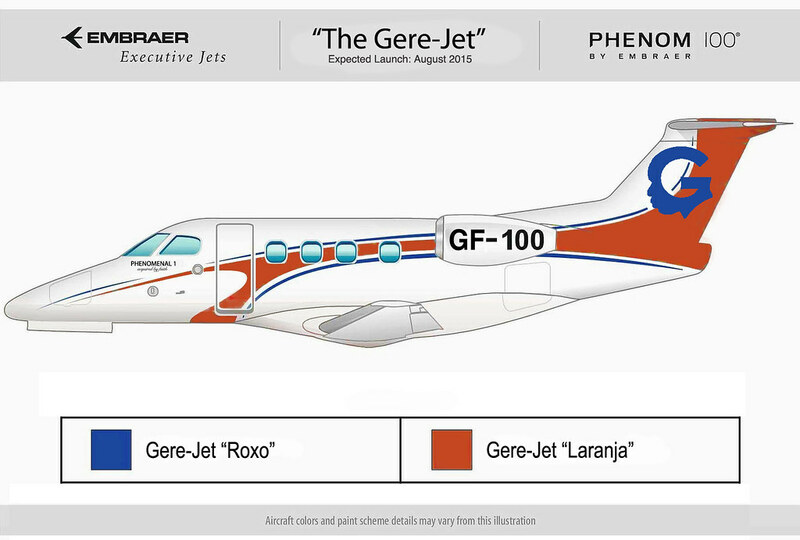 I ended up with a long list of Phenom 100 owners and I contacted them one-by-one, asking if I could buy them lunch and have an opportunity to view their jet. When I reached the letter “J” on the list I noticed that there was one name that that repeated itself several times—Jetsuite Air. I must have spent about three hours on the JetSuite website, reading everything about the company, the employees and their Phenoms. I loved their innovativeness, unique business model and their willingness to take risks. I knew that I needed to experience everything in-person so I contacted the CEO to see if I could somehow get a chance to meet for a few minutes if I ever ended up in California. To my surprise, he said “yes” and 15 minutes later, I booked my flight. Not only was I going to get a chance to see a Phenom 100 in-person, I was also going to meet the CEO of the largest Phenom 100 fleet in the US! I also used this opportunity to purchase a flight from California to Las Vegas on the private jet, so I worked with an incredibly helpful charter sales manager to confirmed all of the details to make it happen. The entire trip was so great that I made a video outlining my experience, and then I made a second video highlighting the experience as my favorite moment of 2011. From that day forth, I learned many things from watching JetSuite. After they had an minor (and rather public) mishap with one of their jets, I saw how the CEO handled the issue quickly used the publicity to grow the company larger and stronger. I learned about their innovativeness by becoming the first company to allow customers to initiate private jet bookings via Facebook at a deeply discounted price. Also, I learned about the art of masterful customer service from my experiences to date. All of these lessons have contributed to the way that I run my brand, Peculiar PPL, which they have publicly supported on their Facebook page. As mentioned in an earlier entry, the reflection collection shirts were created as a tribute to the products and companies that have played a significant role in shaping my preferences today, and for the reasons listed above JetSuite has made quite an impact on me. 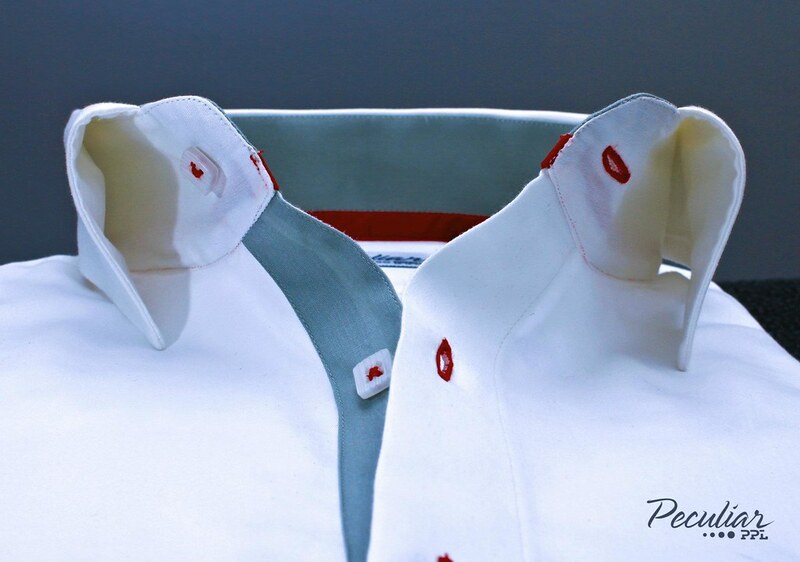 As a result, I’ve created a dress shirt that resembles the white, grey and red color scheme of the JetSuite Phenom 100 jet. In my eyes, if their jet was reincarnated into a dress shirt, it would look exactly like this one! This shirt is my favorite of the trio because of its contrasted colors on the inner sleeve, button holes, inner collar, and placket. Wearing the shirt reminds me of JetSuite and my goal of obtaining my own jet by 2015. So right now as I breeze through the sky on a Phenom 100 jet, I can’t help but sit in amazement at the fact that a random fascination with private jets in 2009 has blossomed into the discovery of a great private jet company and the feeling being within arm’s length of accomplishing my goal of owning a private jet! Nice!! Can’t wait fill in my apps for a passenger seat! And it made me realize that I to focus on my long term goal of getting houses. God speed. Apologies that it has taken me FOREVER to notice this comment. You can definitely achieve those goals, and no need for the application for the passenger seat, you’re already approved!